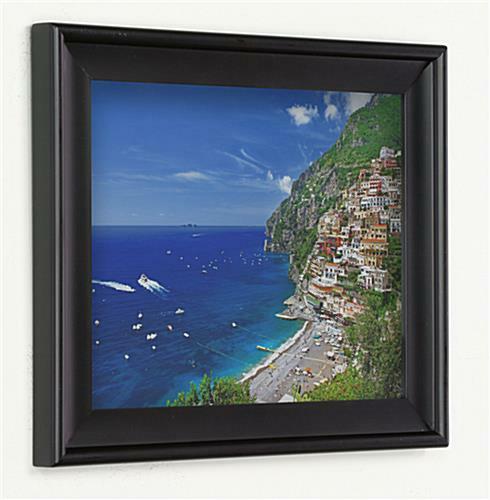 These wooden picture holders can increase the visual appeal of an atmosphere while blending in with their surroundings. 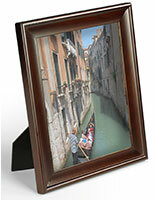 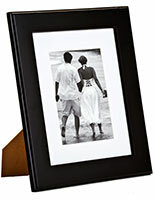 The photo frames are crafted from solid wood in order to increase longevity and overall aesthetics. 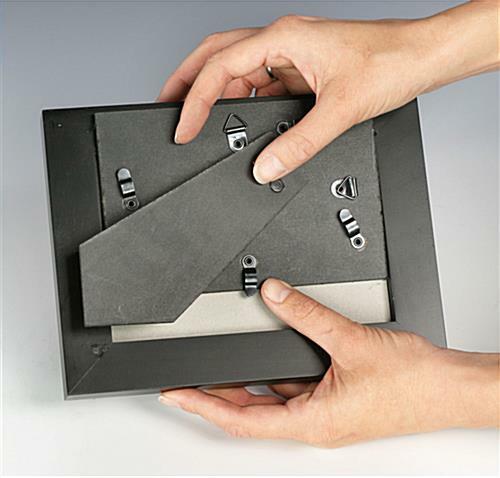 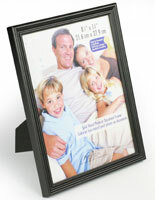 In addition, these picture holders have a black matte finish for a sleek look. 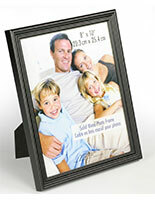 The frames are made to display 8" x 10" prints but sizes for 4" x 6" and 5" x 7" inserts are also available. 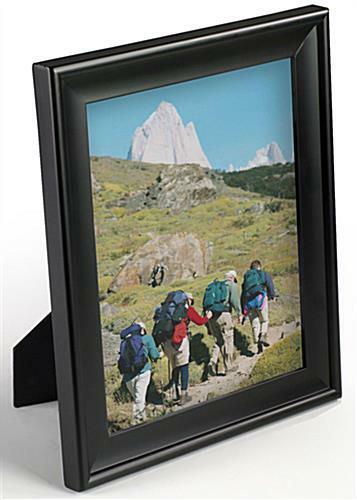 These tabletop holders are great options for office cubicles and house decoration and are ideal for family photographs and artwork. 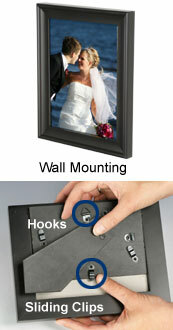 The stands also feature a back loading design for quick signage changes.